The 2019 KNYN EASTER EGG HUNT has begun! 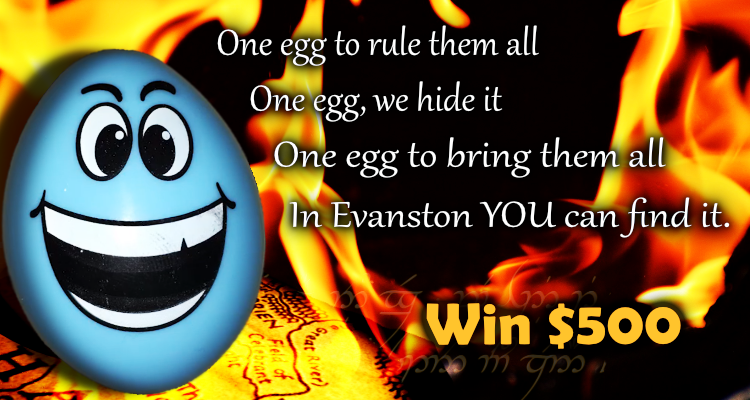 One egg to rule them all, one egg we hide it, One egg to bring them all…Evanston can you find it? 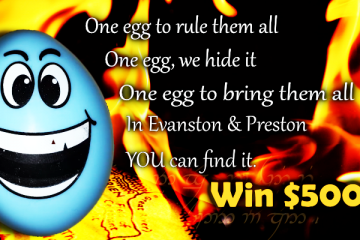 Egg Hunt clues for Evanston can be found at: CHAD’S AUTOMOTIVE, HOOVER CHIROPRACTIC, JODY’S DINER, BEST WESTERN DUNMAR INN, LEGAL TENDER RESTAURANT, KALLAS AUTOMOTIVE, WESTAR PRINTING/ROCKY MOUNTAIN SIGN, TRONA VALLEY FEDERAL CREDIT UNION, FREEWAY TIRE, EVANSTON RECREATION CENTER, MCKAY FRANCOM DDS, ROMANTIX, EVE’S GARDEN, ELLINGFORD BROTHERS, HOME DÉCOR and FLOORS AND MORE.